More than just a place to work and do business, Fort Erie is also a place to live, visit and play. Fort Erie is a community of communities and boasts a rich heritage, tradition, history and unique blend of rural and urban living. Fort Erie plays host to a number of renowned festivals and is home to miles of beautiful beaches. 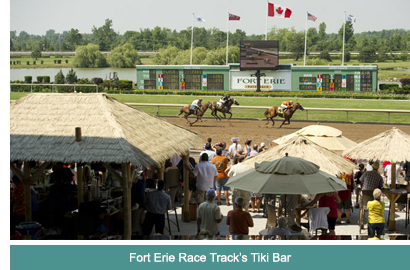 The Fort Erie Racetrack provides one of the most spectacular venues for thoroughbred horse racing in the world and is home to the Prince of Wales Stakes. Along the Fort Erie shores of the mighty Niagara River winds the Niagara River Parkway, famous for being “the best Sunday afternoon drive in the world”, according to Sir Winston Churchill. Fort Erie is versatile and cosmopolitan beyond its size. It is a recreational playground in a perfect location for your business and career, and a safe community where you can raise your family. Located in the Niagara Peninsula's southwestern corner where Lake Erie enters the Niagara River, Fort Erie offers the best of both worlds blending small-city living with the convenience of two large metropolitan areas, Toronto and Buffalo, just a short drive away. Fort Erie's colourful heritage, unique geography and modern city services make us an attractive year-round home for approximately 30,000 people and seasonal home to 10,000 more who flock to beachfront properties for the summer.